Dogs with jobs are nothing new—we’ve all seen the beautiful pups that assist people with limited sight, bark at unwelcome burglars, and help the police out in hairy situations. However, in recent years we have seen the resumes of working dogs expand to include a wide array of what were formerly human-only occupations. Medicine, literacy, and even conservation have embraced the canine world, giving loyal, smart, and good-natured dogs a chance to earn their keep. Whilst dogs make wonderful pets, their ability to learn new tasks and understand how to work with people means that they can also make our lives better when we teach them new tricks. At five years old Stewie boasts an impressive skill set – she can detect early stage lung, breast, and ovarian cancer in humans just by using her nose. Stewie is part of a group of dogs who have been trained to sniff out cancer over the past 12 years. The dogs are trained to understand what different types of cancer smell like, and then tested by their trainers using double-blind studies to see if they can identify cancer samples accurately. The In Situ Foundation, which sponsors a lot of this research, hopes that these canines will soon help with the early detection of cancer in hospitals across the world. 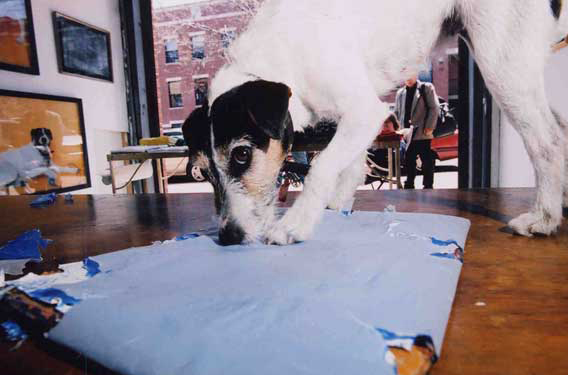 Tillamook Cheddar was one of the biggest canine names in the art world over her 14 year career. She was a Jack Russell from Brooklyn, NY, and had more than 20 solo shows across the US and Europe over her lifetime. She had an expressionistic style, using her tongue and claws to make marks on the canvas with such enthusiasm that she would sometimes destroy her own works as she was creating them. Stori is a service dog for Freedom Service Dogs in America. She graduated with her human partner, a US Air Force Veteran, in December 2017, and has since been working hard. 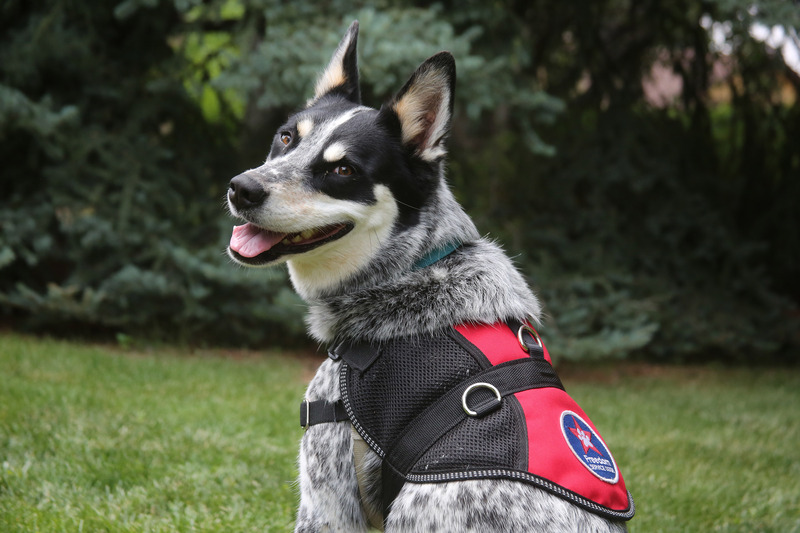 Stori has been specially trained to help mitigate the symptoms of post-traumatic stress disorder. She picks up dropped items, opens doors, turns on the lights, and creates space around her partner in public. This helps her partner get through the day, and ensures that they always have support when they need it. 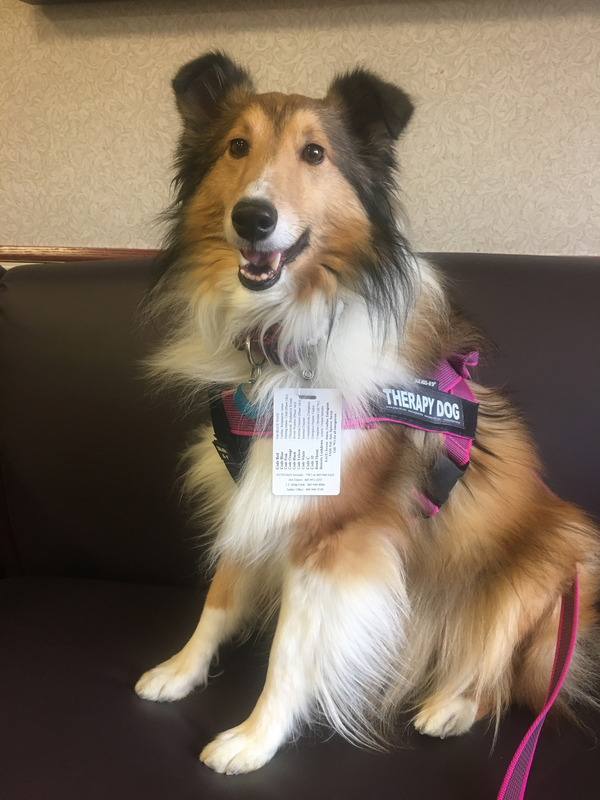 Molly is a five-year-old Sheltie who works as a certified therapy dog. She volunteers two or three times a week at different hospitals in her community, spreading joy to patients and their families who need some time out from the stresses of being in hospital. Studies show that petting a dog can reduce stress, and release calming endorphins, which is why Molly is so popular when she goes out to visit people. 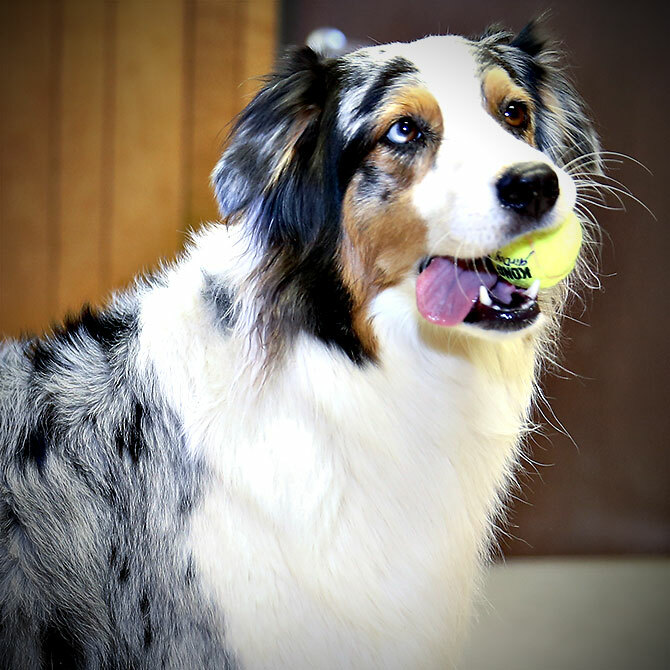 Molly went through four months of training and testing to become certified with the Alliance of Therapy Dogs in the US. You can follow her adventures on her Facebook page or Instagram. Rolo is a Chocolate Labrador and a massive bookworm. 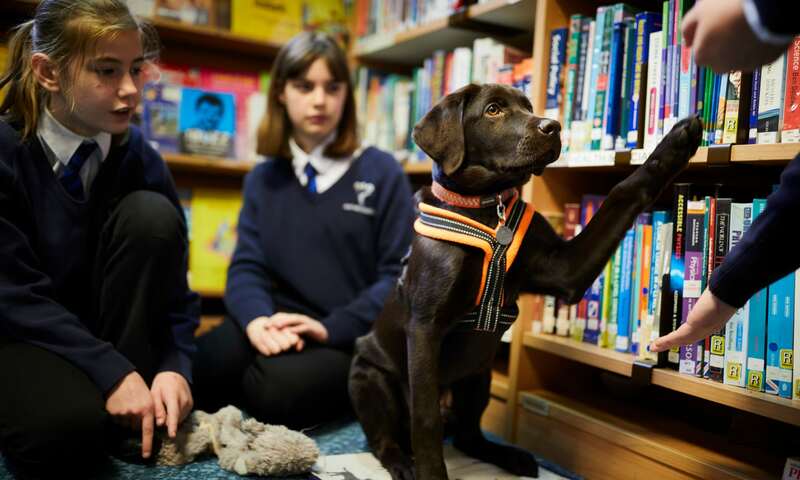 He has been training to become a ‘listening dog’, which would see him work in schools to help kids become more confident when reading out loud. When fully trained, Rolo will put his head in the laps of the children while they read, providing them with the encouragement and support they need to build up their confidence. For the full story on how Rolo helps kids out in the classroom, check out this article from The Guardian. 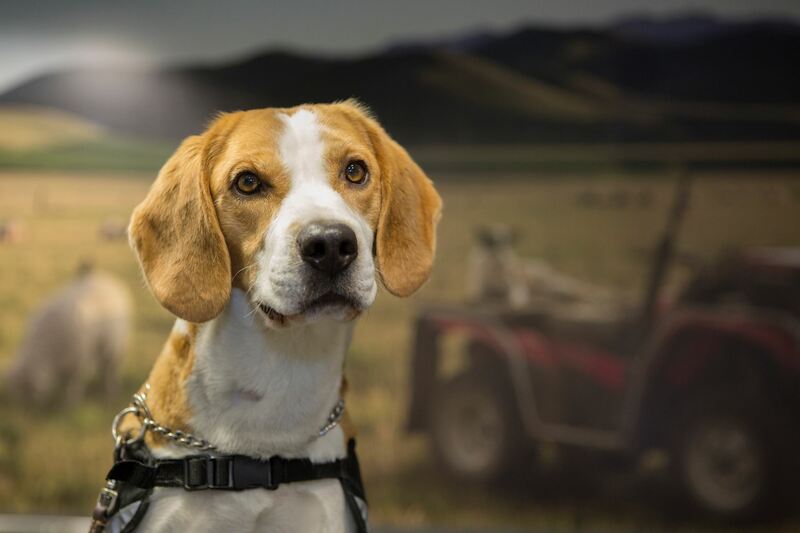 Archie is one of over 50 dogs keeping Aotearoa safe from all sorts of potentially harmful pests and diseases. The detector dogs work with handlers at the Ministry of Primary Industries to preserve New Zealand’s biodiversity. Dogs like Archie are trained to find fruits, vegetables, and animal products at ports of entry around the country. Arrow is one of about 100 dogs across Africa who have been trained to help people stop poachers in the region. Arrow has been trained to sniff out poachers and pin them down until human help arrives. In one region, these dogs helped catch 100 poachers in 18 months. 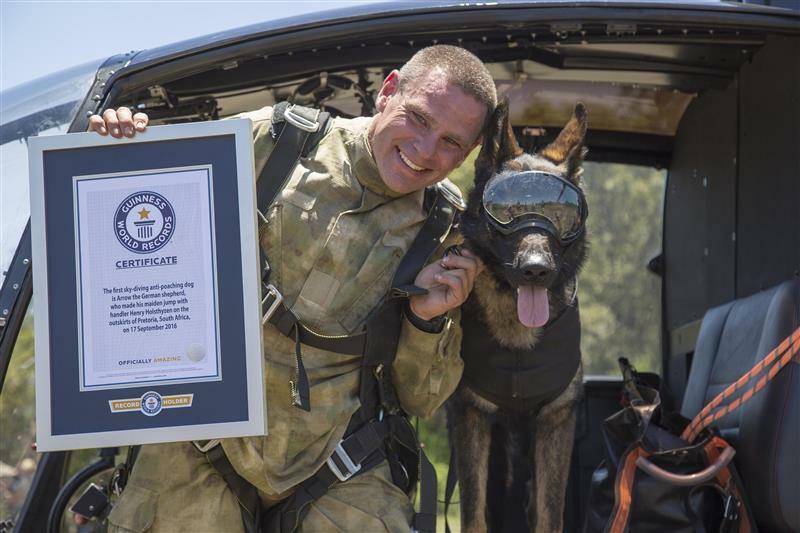 To get him into remote areas, Arrow is specially trained to skydive and repel into the bush from helicopters, with the help of his handlers of course.